Although the similarities between trampolines and rebounders are many, there are some very significant differences. The most obvious difference at first glance of course would be size. 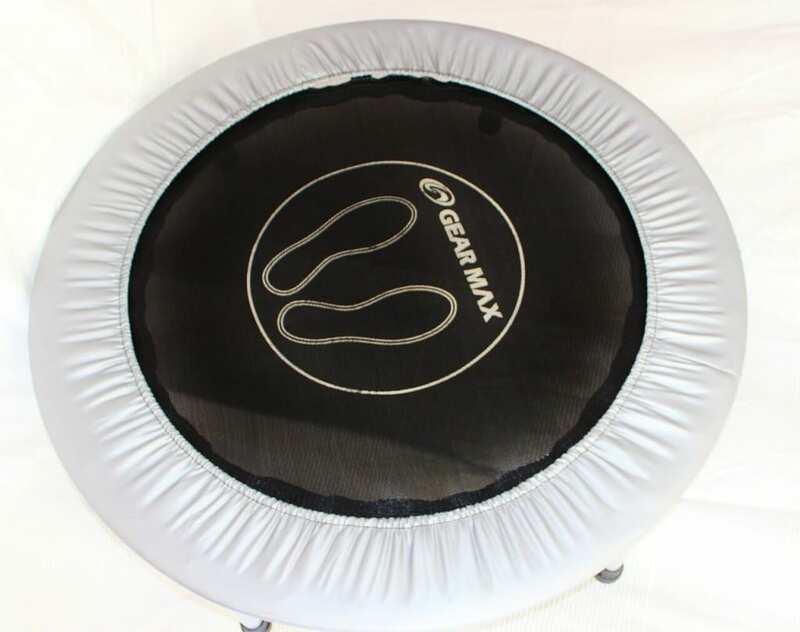 Rebounders are a primary focus of the health conscious as the take along version of the trampoline and are considerably small enough to be portable. The rebounder adapts to an in or outdoor setting weather permitting. 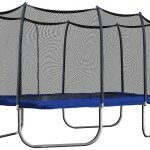 The rebounder was primarily designed with fitness and aerobic or slimnastic work outs in mind therefore the more efficiently structured models were formulated with just the right amount of bounce as opposed to the extra bounce noted in the larger trampolines lifting the jumper to higher and further limits. One additional safety feature with the rebounder is that it is significantly closer to the ground thus preventing injury form possible flip and bounce injuries. Trampolines do present a positive for increased fitness and health benefit even though their main purpose is still focused on the intent of the youth and recreation category. Trampolines are better utilized for athletic acrobatics such as flips and handsprings. The set up of these larger tramps is primarily stationary and they normally occupy this outdoor space until weather necessitates a change or advanced maintenance is required for longevity. A rebounder is much smaller in size than the trampoline. It is mostly used for weight loss and fitness exercise. A rebounder is typically used indoors or for transportable fitness related events. 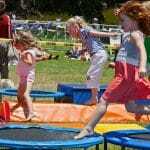 Rebounders are often times referred to as mini trampolines varying greatly in height and circumference. Rebounders have a much smaller and safer bounce and are primarily used for a great low impact fitness routine. 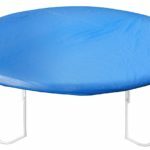 It may come as a surprise many brands and models of rebounders can support up to as much as 400 pounds whereas standard trampolines with some few exceptions merely support 100 to 330 pounds. 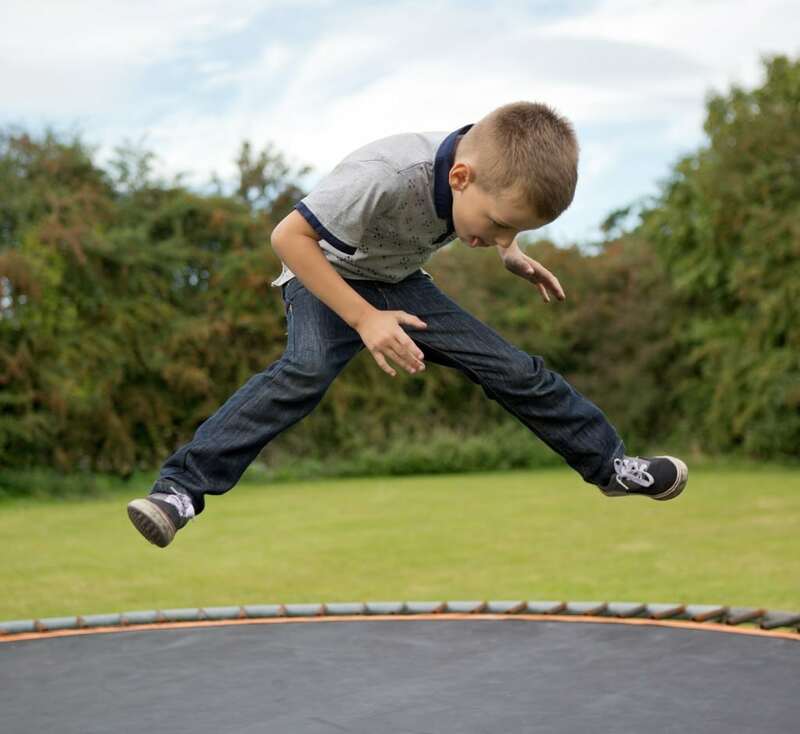 Although both brands are recommended for only one jumper at a time, the mat size of the trampoline can easily accommodate more jumpers which potentially can lead to more frequent jumping incidents. 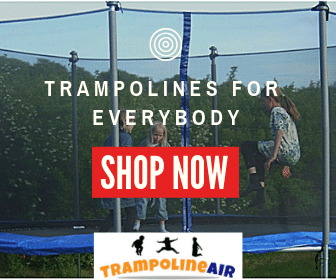 Both rebounder and trampoline offer some very good health benefits when properly put to use with safety in the fore front. 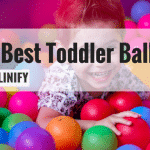 They both aid in toning up the muscles and great for coordination improvement. Both can be healthful as well for the better well being of back pain sufferers. 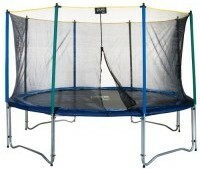 Fitness mini trampolines raise that bar in being geared to those serious in completing work out routines. Most models come with some form of work out video initiating some good starting fitness guidelines for the user. 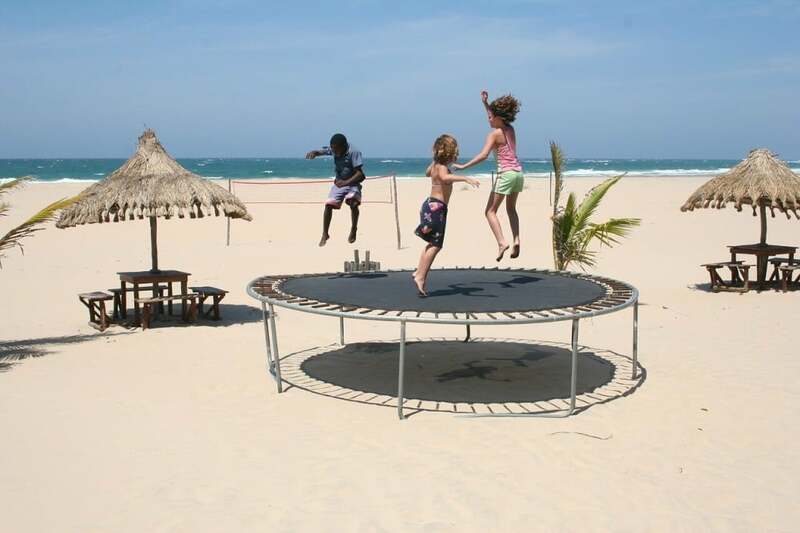 The larger outdoor model trampolines often offer optional accessory extras which may be additionally purchased separately. These larger and normally considered outdoor units encourage recreation or play and many come with a safe enclosure that may also be attached with the unit or offered as an added extra. Reducing pain and inflammation while increasing energy levels. Draining the lymphatic system of stored garbage. Increased healthy performance of the heart and lungs. Encouraging increased red blood cell count thus improving oxygen levels in the body. Reduces the stress found with higher impact exercising. A great aid in increasing bone density and muscle mass. Has a great impact on ridding the body of unwanted cellulite. The reasons that we should rebound are limitless and according to the NASA program just in total, a great health benefit for young and old alike. It is claimed to be by far the best form of exercise for the senior citizen and because it requires no jump effort or even leaving the mat in many cases, rebounder exercise is extremely low impact. Regular rebounding over an extended period has been reported to help with regulation of blood pressure and also decrease the time frame in which the blood pressure rises after exercise to a greater minimum. Better achievements have been noted with a decreased amount of free form cholesterol in the body and triglyceride levels as well. When consistent exercise is practiced both tissue and cellular repair have been documented. For those of us experiencing any sort of health concerns or looking to prevent a health issue beforehand, it may be very advantageous to do the research on how beneficial rebounding would be. 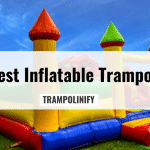 Most outdoor trampoline models start around $100 and max out around $400 although some really high dollar models such as spring free trampolines and so on can get on up to the thousand dollar price tag. The rebounder pricing can fluctuate according to either the brand or the model of that brand. Generally rebounders start at a price as low as $ 30 with a mid range of around $200 and even going as pricey as the $700 range. 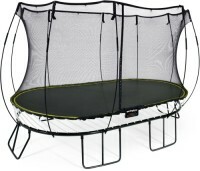 The modern day trampoline greatly differs from those models originally designed in the 30’s. The selections have progressed in size, color and shapes available in today’s marketplace. Framework, materials, safety features and durability have been greatly enhanced over the years. 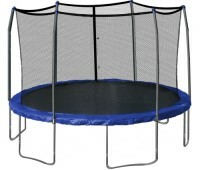 Essentially there are two recognized uses for the trampoline, either for recreational or competition purposes. Recreational trampolines are often purchased for family home environments. Shapes and sizes are determined by amount of available space and personal choice. These models can vary between rectangular, rounds, hexagon shape, or octagonal shaped and available in many sizes beginning around 7 and one half feet. Rectangular models are recommended for the competitive jumper simply because of the bounce quality and the available area available for competitors to perform gymnastic routines in. 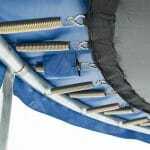 Also they are generally equipped with a strong fabric and the strongest of coils to support the heavier weight for competition exercise. Rebounders can generally be categorized into two groups. One would be the quality well made grouping and the other would be the opposite a cheaply made version manufactured with low quality framework and or materials. Price does not define the quality here but the thing to research would be the workmanship. 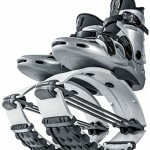 Poor quality will result in poor support under the user and can result in more damage to the back, knees and ankles. 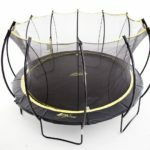 In order to make the decision to purchase a rebounder or trampoline, an important thing to look at would be to determine who will be using the unit. Trampolines are generally the choice of family members with children and a recreational purpose in mind. Rebounders are quite often the choice of those who have exercise and health in mind. They can be a great be a great asset to users of all ages and provide a great health strengthening low impact workout. The next consideration would be to determine where the unit will be used. Of course without saying, if space is limited, the rebounder would be the best option available. If space is no concern but family recreation is the greater concern then the trampoline would be the way to go. 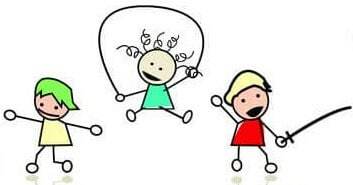 Once these considerations have been resolved, keep in mind that whatever the right decision for you the rebounder or the trampoline, quality and construction should always be a main concern along with safety.